Chief Executive Anupam Shrivastava said the government, which fully owns BSNL, should wait until the company returns to profit before attempting to sell a stake. However, the firm has lost about $7 billion in the last eight years, making it the country's biggest loss-making state-run company after national carrier Air India. Since the launch of free voice and unlimited data plans by telecoms upstart Reliance Jio Infocomm, the state firm has fallen further behind, Shrivastava said. BSNL offers landline and 3G services in a market dominated by operators that have moved on to 4G connectivity. "Reliance Jio has hit hard our revenue, particularly in the mobile segment," he said, adding it could take two years to three years before the company posts a net profit. The entry of Jio, backed by billionaire Mukesh Ambani's Reliance Industries, has shaken the entire sector, not just BSNL. Internal documents reviewed by Reuters showed that in January the government considered a plan to privatise BSNL. The government of Prime Minister Narendra Modi is pushing ahead with the privatisation of Air India and the closure of a dozen other companies as he seeks to cut state losses and revive private investment to boost economic growth. But the BSNL plan has been put on the backburner, a senior federal government official with direct knowledge of the issue said, while the government focuses on Air India. Modi's cabinet approved plans in June to privatise the flag carrier. 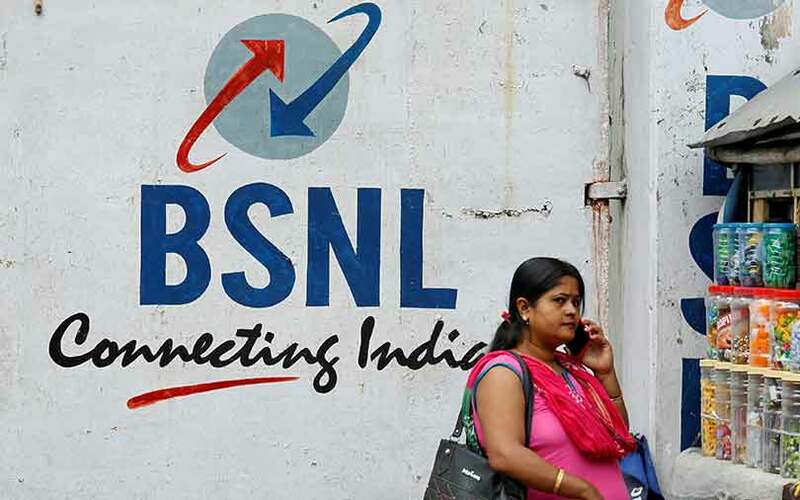 The documents show that the government had discussed privatising BSNL's subsidiaries, joint ventures and units and laying off 100,000 of the 200,000 workforce. The firm spends 55 percent of its earnings on wages compared with 5 percent to 7 percent for private operators. The telecoms union went on strike for a day in July to protest the stake-sale plan and P. Abhimanyu, national convenor of the BSNL Employees' Union, said he would launch an indefinite strike if the government tried to privatise the company. BSNL is battling for survival, he said. Once India's largest telecoms company, the number of BSNL landline subscribers has fallen by 8 million in the last five years to 25 million. Its market share in broadband services fell to 10 percent this year from near 30 percent in 2013. BSNL's outstanding debt was just over $1.2 billion at the end of March 2016, its latest public financial data shows. The debt has been capped in part by the use of cash reserves of $5 billion. "There is no strategic need for the government to remain in the telecom sector," said A. Prasanna, an economist at ICICI Securities Primary Dealership. Scarce state resources could be better used elsewhere, he said.